We have been in the business for 25 years and have seen it all, fixing everything from family homes to royal palaces. Our engineers are local and available, so no matter when you find yourself in a drainage emergency, you can be reassured by the fact that we'll get there as soon as possible and provide the repairs needed. From water jetting to CCTV surveys to diagnose a more complicated matter, we'll be able to help. We are always happy to work for domestic and commercial customers as well as contractors and local authorities. 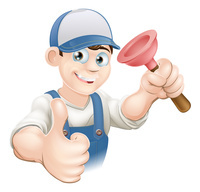 Happy Drains love to help, call us for free advice and assistance. A reputable and trustworthy company whose aim is to look after our customer’s requirements by providing a top quality service at the best price, that we hope will impress. * Domestic is a single dwelling i.e. flat or house who's drains are not shared with other flats or properties . Booked happy drains the day before, came out today and fixed our drainage issue within 30 minutes, great! Phoned and had a visit the same day. Arrived on time and job done swiftly by Gordon who was friendly and courteous. Fantastic service. Would highly recommend. Blockage to drain in garden. Friendly service with no hidden charges. Would highly recommend. Arrived when they said they would, phoned when on the way, they did the work quickly, without fuss and politely. The gentleman from Happy Drains was the most helpful and courteous. In the many years of using companies, this one is the best. Excellent - very good. We could without a doubt recommend this company. Excellent service from the girl in the office, to the two guys. Would recommend and use again. The engineer quickly diagnosed the problem, fixed it, and cleaned the surrounding area. Very efficient and did an excellent job. Excellent communication on the phone by receptionist, speedy response, very good value. Tip top! !